I am a bit of a snob when it comes to film and television adaptations of great literary works. It is, I think, a rule that the book is always better. But it is also well known that a good literary adaptation can lead me into a state of obsession. Case in point, my ongoing love affair with the BBC versions of Pride and Prejudice and Jane Eyre. I am quite sure that none of you reading this post will be in the least surprised at this revelation. My constant allusions to both are something of a clue as to the extent of my devotion. It is on the back of one of my many romantic gushings that I recently received an email from a reader, asking whether I would write up a post with adaptation recommendations. I am nothing if not obliging. Plus, the opportunity to indulge in yet more Jane Austen/Charlotte Bronte fan ravings is always welcome. So, without further ado, here is my list of adaptations to adore. Bleak House was, somewhat inadvisably, my first foray into the world of Dickensian literature. Hardly the easiest start. However, I was enthralled. Dickens offers unrivalled characterisation and some of the most descriptive prose in the history of English literature. Given the complexity (and length) of Dickens’ works, I am always somewhat sceptical of any adaptations. But the 2005 BBC adaptation of Bleak House is expert in every respect. Featuring the talents of Charles Dance, Carey Mulligan, and Gillian Anderson (as in The X-Files, yes), the casting is precisely as envisioned. The novel is a brilliant exploration of the depravities of the Victorian legal system and this adaptation truly brings it to life. An honest reflection of my feelings would probably feature the entire trilogy of films in number 4 place. But in an effort to avoid appearing greedy, I felt it best to hone in on my absolute favourite of the three. 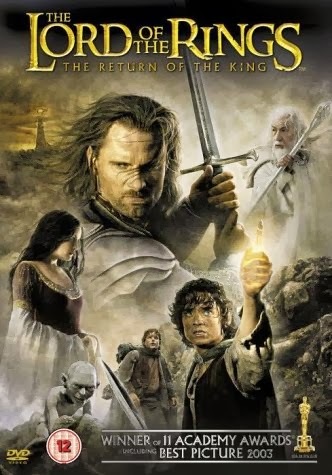 The Return of the King is a brilliant book and an amazing film. Apart from the confusion caused by the numerous apparent endings to the film (and the hilarious attempts of cinema-goers to leave the theatre on five separate occasions), I believe this to be as faithful an adaptation as possible in the space of three hours. Mostly, however, my love of the trilogy can be reduced to two things: (1) My unquestioning adoration of Samwise (the Brave) Gamgee; and, (2) The enjoyment I get from hating on Frodo at every available opportunity. ‘My name is Inigo Montoya. You killed my father. 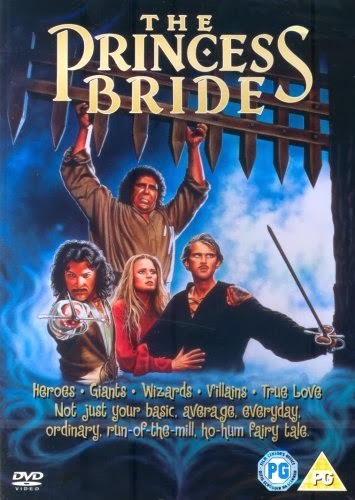 Prepare to die.’ Because The Princess Bride represents the most quotable literary adaptation of all time. Thank you Dread Pirate Roberts for being amazing. And thank you Peter Cook for perhaps the greatest clerical performance of all time (and making all subsequent attempts at marriage officiation pale in comparison). SHOCKER. Actually, I spent a good deal of time battling it out over first and second place on this list. 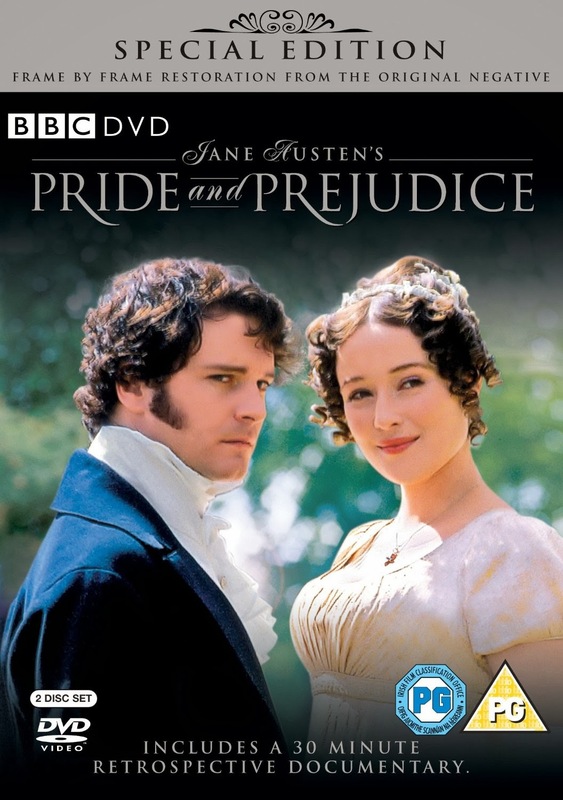 The BBC’s adaptation of Pride and Prejudice is undoubtedly one of the greatest ever produced. Not only is it one of the most beautifully constructed attempts to bring a classic novel to life, it is also responsible for launching the career of the wonderfully talented Colin Firth. This is a fact for which we must all be grateful, particularly given the one scene that we all know is the main contributing factor in his subsequent success. Truly though, this version of Pride and Prejudice is flawless – the casting, the setting, the almost-verbatim replication of the novel in script form. All perfect. For anyone who claims that the 2005 Kiera Knightley adaptation of the book has anything to offer, I would urge you to reconsider. Once you go BBC, you never go back. Pride and Prejudice is my go-to cure all. Illness, sadness, stress – an evening of this magnificent serial has the mystical power of eradicating all bad feelings. Given this fact, it may come as some surprise that it has been beaten to the Top Spot by the BBC’s 2006 adaptation of Jane Eyre. In comparison, Jane Eyre is not an easy watch. It is not one to curl up with for solace or comfort. Because it will, as with the novel, take you on a rollercoaster of emotion that offers no quick cure for the sick of heart. That said, stick with the serial to the end and you will feel incomparably uplifted. It is for the journey to which Jane Eyre submits its viewers (and readers) that this adaptation takes the number 1 place on my list. The casting is, as with most BBC adaptations, perfect – no small feat given the legendary status of the book’s main characters. 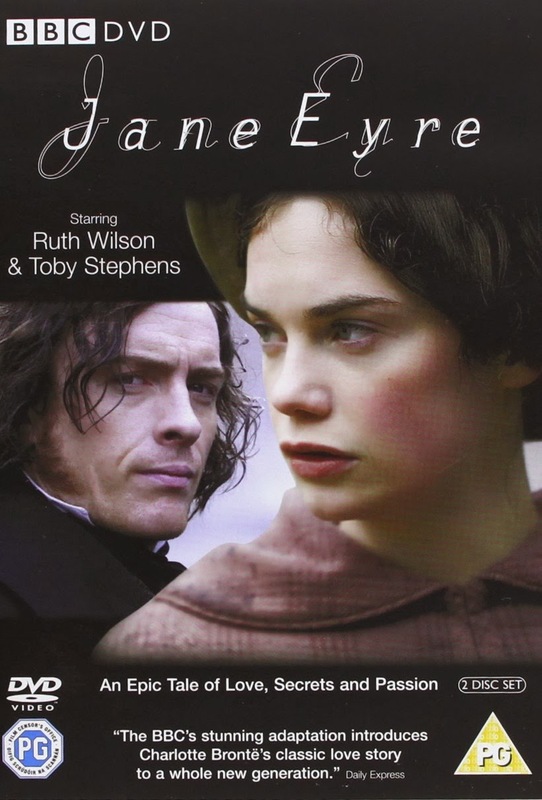 Ruth Wilson makes the most faithfully depicted Jane imaginable, and Toby Stephens’ Mr. Rochester will have every girl emitting involuntary sighs. Utterly and incomparably perfect. I've never watched Jane Eyre but now I've read your review, I must.Thanks for the recommendation Laura. No problem. It really is amazing – I'm certain that you would enjoy it. Let me know what you think once you've watched it!